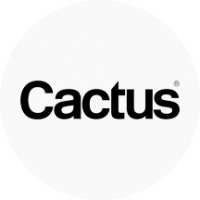 Cactus is a company that designs and engineers wireless studio lighting equipment – wireless flash triggers, wireless portable flash, laser trigger, and other lighting and camera accessories. Our existence started from the needs of the photographer. And this continues to be the driving force behind product development. Here at Cactus, we put in a lot of time, sweat, and funds in developing our products. The in-house Research and Development team continuously dedicates their pride and countless hours to ensure the designs are original and innovative. We take no short cuts.